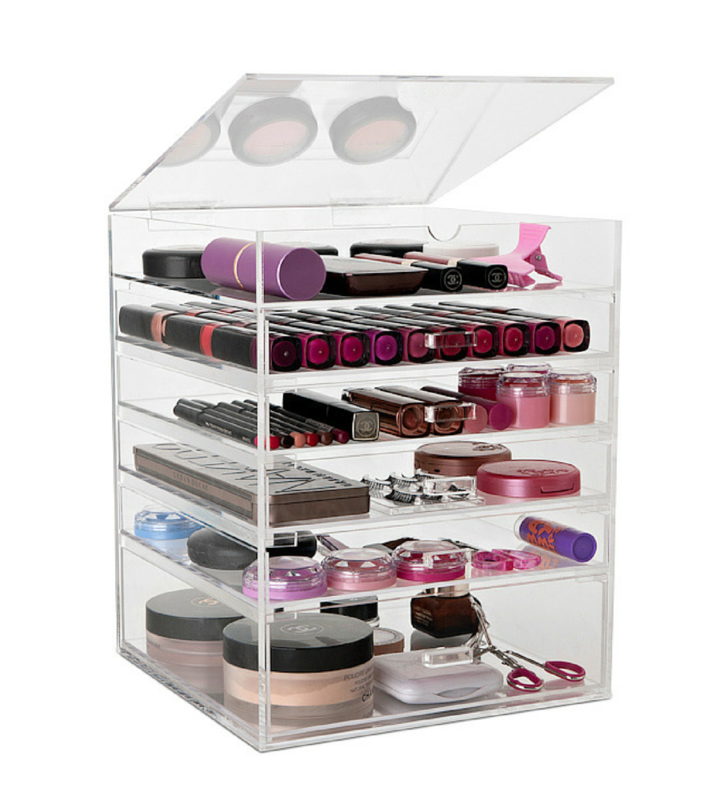 Have you ever wished your makeup collection was stored like the Hollywood stars, instead of pilled into your makeup bag? Tired of digging around for your favourite bronzer? Has the lid of your holy grail lipstick fallen off one too many times from being tossed into your bathroom drawer with every other beauty product fighting for space of its own? If you answered yes to any (or all) of these questions then we can help you! You’re only a few clicks away from having your very own Makeup Box delivered to your door! 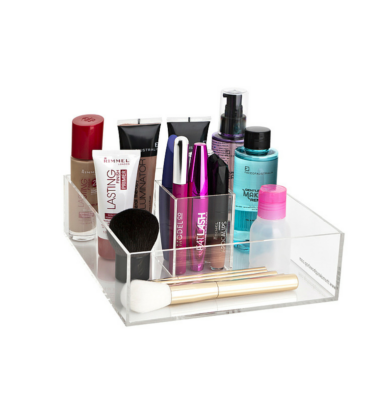 This Makeup Organiser has 6 compartments and is ideal for large Makeup collections! Our Original Flip Top Makeup Box has been modelled off the Makeup Organizers made famous by the Kardashian sisters. This unit has the simplistic standard flat original handle. Pick up yours today for $154 including tracked shipping within Australia. View the unit measurements in the additional info tab below! 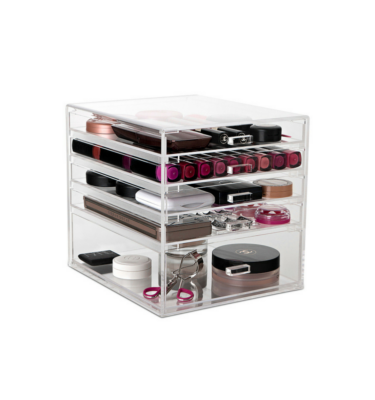 This Makeup Organiser has 6 compartments and is ideal for large Makeup collections! 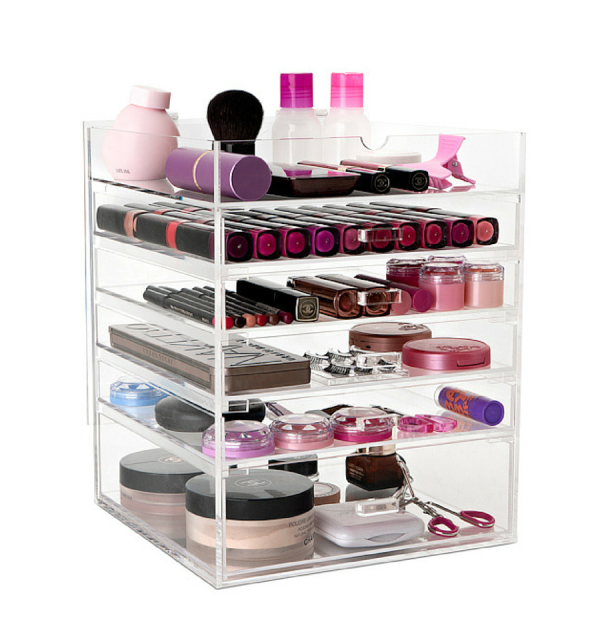 Our Original Flip Top Makeup Box has been modeled off the Makeup Organizers made famous by the Kardashian sisters. This unit has the simplistic standard flat original handle. 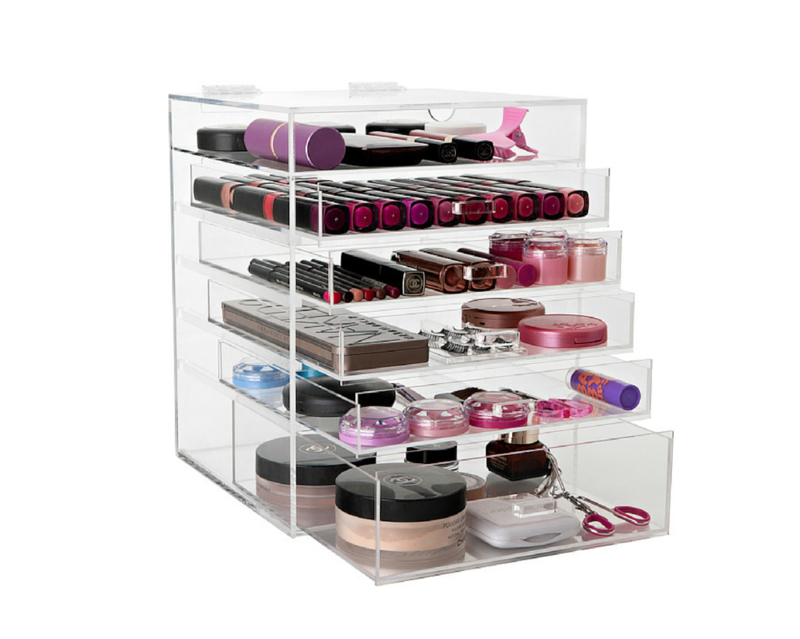 Makes organising your makeup and skincare so simple and easy. I love the look and sturdiness of the product. It is made extremely well. Makes my vanity look organised and I can actually see what I have which allows me to use more of my products without having to constantly remind myself. 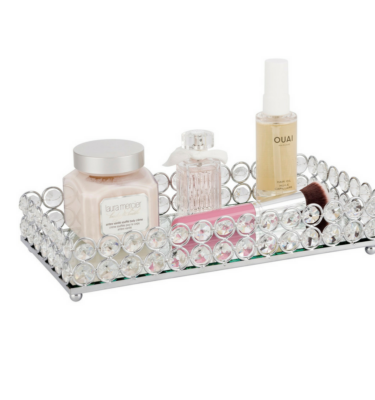 I have already re-ordered to purchase the matching clear acrylic tray, clear acrylic compact holder and 2 of the clear acrylic rectangle brush holders. Absolutely love and recommend this product and this business. Shipping was extremely fast and everything came packaged up really well to ensure items arrived in perfect condition. They even give you a little shammy cloth to wipe any spills and messes…I really appreciate that kind of customer service and thoughtfulness. Honestly, you will not regret this. Very happy customer! Absolutely love my new flip top box!!! 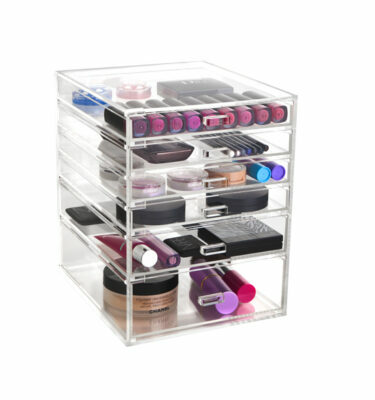 So easy to organize everything, I will be definitely be ordering another one to store the rest of my makeup in! Such a great design that is easy to use and makes it sooo easy to see what you have, without having to dig through a heap just to find that one lip colour you are looking for! 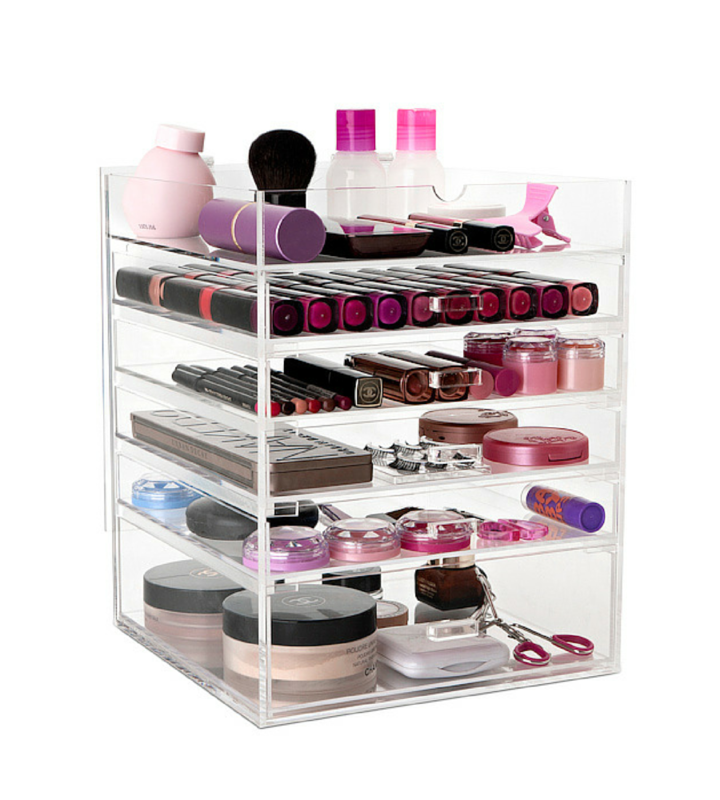 Extremely happy customer, would highly recommended this box to anyone looking for a great makeup storage solution.